Analog circuit and system design today is more essential than ever before. With the growth of digital systems, wireless communications, complex industrial and automotive systems, designers are challenged to develop sophisticated analog solutions. 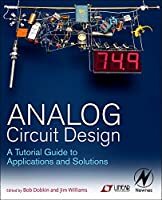 This comprehensive source book of circuit design solutions will aid systems designers with elegant and practical design techniques that focus on common circuit design challenges. The book’s in-depth application examples provide insight into circuit design and application solutions that you can apply in today’s demanding designs. The fundamental difference between analog and digital is ‘‘information.’’ With digital information the output is always the same: a set of ones and zeros that represents the information. This information is independent of the supply voltages or the circuitry that is used to generate it. With analog, the output information is basic electrical values--volts, current, charge--and is always related to some real world parameters. With analog, the methodology used to arrive at the answers is intrinsic to the quality of those answers. Errors such as temperature, noise, delay and time stability can all affect the analog output and all are a function of the circuitry that generates the output. It is this analog output that is difficult to derive and requires experience and circuit design talent. With integrated circuits (ICs) so prevalent, combined with application-specific integrated circuits (ASICs) in most systems, it is becoming increasingly difficult to find good analog examples for teaching engineers analog design. Engineering schools provide the basics of device terminal characteristics and some circuit hookup information, but this is not adequate for designing finished circuits or applying modern IC design techniques. The analog circuitry in today’s systems is often difficult to decipher without help from the original designer. The ability to design complex analog systems relies on the ability of engineers to learn from what has gone before. One of the best avenues for learning analog design is to use the application notes and information from companies who supply analog integrated circuits. 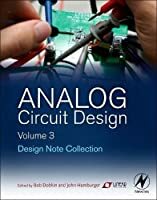 These application notes include circuitry, test results, and the basic reasoning for some of the choices made in the design of these analog circuits. They provide a good starting point for new designs. Since the applications are aimed at solving problems, the application notes, combined with the capability to simulate circuits on Spice, provide a key learning pathway for engineers. The analog information in most of these application notes is timeless and will be as valid twenty years from now as it is today. 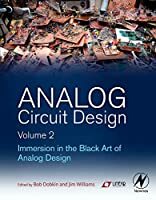 It’s my hope that anyone reading this book is helped through the science and art of good analog design.Read an excerpt from Analog Circuit Design. Chapter 24. 1Ppm Settling Time Measurement For A Monolithic 18-Bit Dac: When Does The Last Angel Stop Dancing On A Speeding Pinhead?